Raag Gujri is the 5th Raag to appear in the raag wise collection of Shabads in Sri Guru Granth Sahib Ji. It is an ancient raag and is referred as Raag Gujri Todi in Hindustani Classical Music. In Sri Guru Granth Sahib hymns composed in this raag are on pages 489-526 (37pages). It is considered as a day time raag. Jaideep ji, thanks for being here and for liking Gurbani singing. 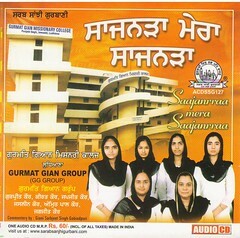 There is a book ‘Sur Simran Sangeet’ by Sant Sarwan Singh Gandharv it is in 7 vol. 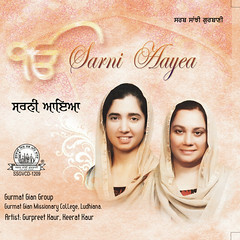 It has lot of information on both Gurmat samgeet raags as well as those of Hindustani Classical Music. It all depends, if your basics are strong. In music, books are helpful if one is already familiar with the language of music. Vocal music is a very practical oriented subject. Sur rayaz is pillar on which one has to develop one’s singing. If you are new to music get hold of some teacher. Teacher can just guide you, but you have to put in hours of riyaz. Good Luck. thank you so much maam for your guidance and your music which is sooo sooo inspiring…………. Jaideep, Aroh & Avroh define the raag and by pakar we recognize the raag. When we sing a raag all the three come into focus. During Alaap, mostly aroh & avroh which show the surs used in the raag are sung in the alaap. Sur vistar is another form of alaap which uses mostly the vadi & samvadi and niyas swars used in the raag. As per this aroh, you can not use ‘r’ on ascending in your tune, can use it on descending. Vadi sur is the king of the raag and this sur has to be given more stress while composing. the tune. Pakar is the ‘pehchan’ or image of the raag. It has to be used while composing. In Bhairo, the jatti is Sampooran Sampooran. It means all the surs on ascending & all in descending. satnam maam i wanted to ask you what is the best way to gain an intuitive understanding and a close connection with the raagas? i have been practising sri rag and bhairo by repeating their pakads and play them on my mouthorgan and find your instructional site truly blissful. maam what else should i inculcate in my music practice to gain the wisdom and essence of the beautiful ragas of the sri guru granth sahib ji ? thanking you for your guidance and inspiration and your gracefully spontaneous replies. To get into any raag, try to master some composition in that raag. Sing it or play it. Do it more and more till you have it on your tips. Try to copy the small harkats of that tune. You should recognize the surs in that tune. Keep playing with surs of that raag. 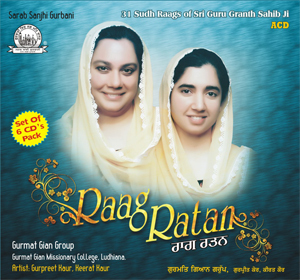 I have sung in all the 31 Sudh raags in Sri Guru Granth sahib ji in ‘Raag Ratan’. 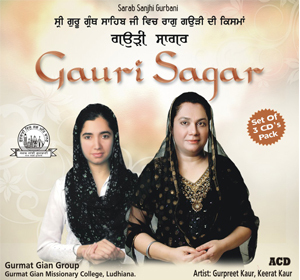 Recently ‘Gauri Sagar’ which is a compilation of All the forms (12) of Raag Gauri in SGGS ji is also released. Beautiful raags. Hear them. The more you do the more you’ll find enchanted with these raags. We are Blessed for having such a wonderful Gift of Music from our Gurus. 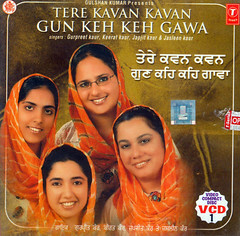 Pakads of raags do vary among various musicians. You would always find differences in aroh, avroh and pakad among various books. Do not get distracted by such things. What matters the most is how much riaz you do. There is a common consensus among Sikhs that Rahaoo or the first line of a Shabad should be taken as Sathaee. There may be different tunes for different antras and every antra may have a separate tune! Mostly people keep one tune for sathaee and one fixed for all antras. It may not be possible to explain all these here. These are practical aspects of music and need to be understood as practical lessons. You may get hold of some book on Indian Classical Music which can give detailed theoretical explanations on various terminology used in music. 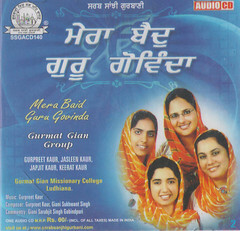 This raag Gujri is considered as a day time raag. The surs of this raag are as given here on this page and the Jatti of this raag is Sharav Sharav i.e. six surs in the aroh and six in avroh. You may find some differences among different school of thoughts which is very common and natural in Indian Classical Music. Your children should concentrate on the pakar and the aroh & avroh of this raag.